Everything that happens is a spiral back into you, a path back home. When things and people become obstacles they are removed, moved away, washed over and away, but the real essence of you is not removed. That remains because it is the truth of who you are. Part of the truth of what it is to be a witch is flying. I have taken up the broom again and flown. 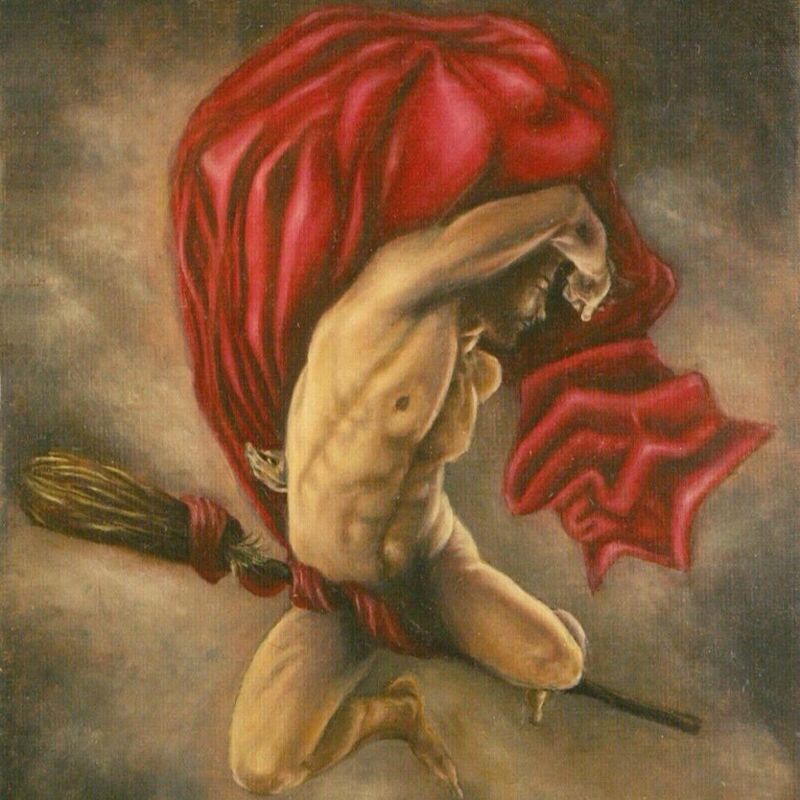 My first flight back on broom took me to my old ones, not the ancient ones, you don’t call them. They call you. I was surprised to see who was actually in my line. I suspect they are the peers and elders of my own Grandmaster. They took a good look at me in the place I am at my life and decided a few tweaks had to happen, some of those same recommendations were echoed from my own Father after the fact. Others of those happenings shall remain blissfully and witchfully a secret smile on my face. As witches, spirit flight is one of those things that some of us do, other shudder at. And for good reason. If you are going to stay in the sunshine all the time and never handle what lurks in the shadows, then those places are fear filled for you and you will never truly dive into your power. Power is not created by being fearsome to others or fearful of shadows. It is derived through facing those things and risking being hurt; being hurt and getting up anyway to try again and move forward. Yes, there are those out there who will think you are living in a ‘fantasy world’. Who cares what they think. Some of the older witches love to hear those things just to have a good old fashion cackle, but really what others think about your spirit flights should not affect how you feel about yourself or your craft. Why are you telling people about the contents of your soul anyway? Pearls before swine anyone? Talking about the specifics of your spirit flights should not be happening anyway. Even if you think you can trust this person implicitly, why give them something to use in questioning your sanity ( or to convince others that your are mentally ill.) If you do tell someone, it is best with a chosen and trusted brother or sister of the craft, someone with experience themselves. A journal should be what you tell, not a person. Otherwise, it really is a hazard to you. When you decide to venture out into the outer dark, there is no one way to get there. No one way that is correct. We all have techniques as individual as we are. However, there are some things to keep in mind. It’s not safe, nothing in this world is, and the same goes for the worlds we visit. Talk to your spirit guides and familiars about your trip before you go. It can be as simple as “Hey I am going flying wanna come with me and lend a hand?” Call upon your protectors and charge them with the protection of your body and sacred space as you are traveling. Circle? Yes. Take a mental inventory of the tools and weapons you want to take with you. Know where you are going before you go and what your goals are. Just go! Hie thee to the shadows and find yourself; dance in the light and be seen. You have power if you dare to face it. Next The Devil made me do it!